David Petryca has been teaching web design classes at Prague College since 2004. 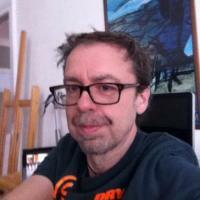 He is a qualified Graphic Designer with over 15 years' experience in the advertising and media industry in Australia. Beginning his career as a print designer, David moved over to multimedia and web development with the advent of new media and the internet. His skills and experience range from graphic design and visual identity to coding highly-optimized web pages using the latest technologies such as XHTML and CSS. David also has advanced knowledge of Macromedia Flash MX and web application technologies like PHP/MySQL. David's personal interest lies in the informational aspect of the internet, building websites that not only are visually appealing but also conform to the latest standards of accessibility and user interface design.